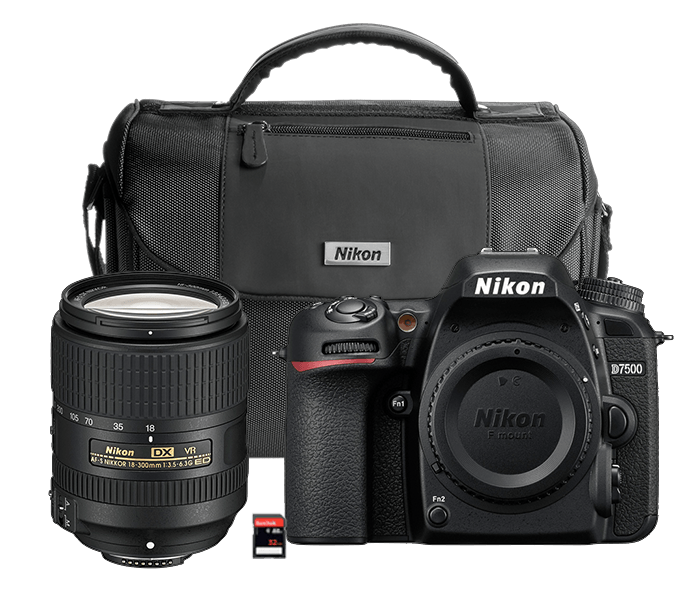 Kit includes the AF-S DX NIKKOR 18-300mm f/3.5-6.3G ED VR lens, which is optimized for Nikon's high-resolution DX-format image sensors. The lens offers an expansive 16.7x zoom range, and Nikon's VR image stabilization for blur-free handheld shooting. Capture everything from wide-angle vistas and family portraits to telephoto close-ups, all in one zoom lens. The kit also includes a camera bag and 32GB SD memory card.